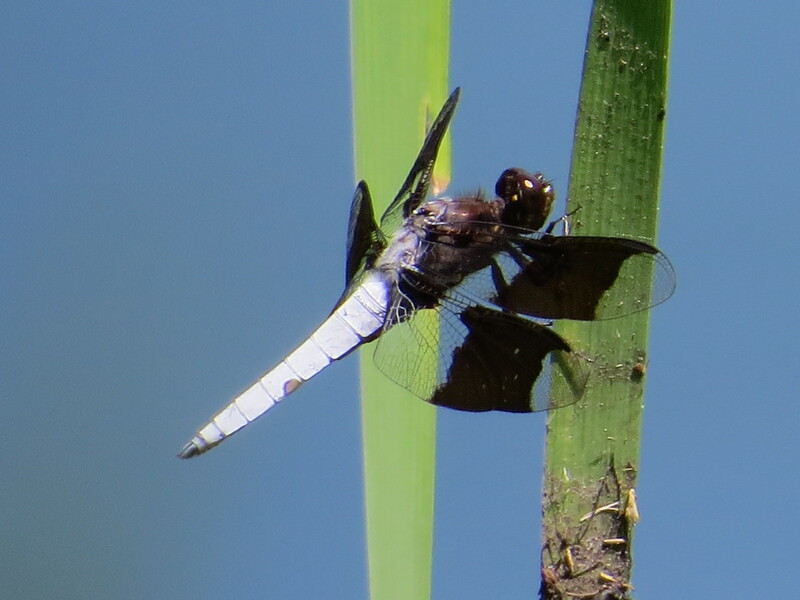 12-spotted Skimmer (Libellula pulchella) male. 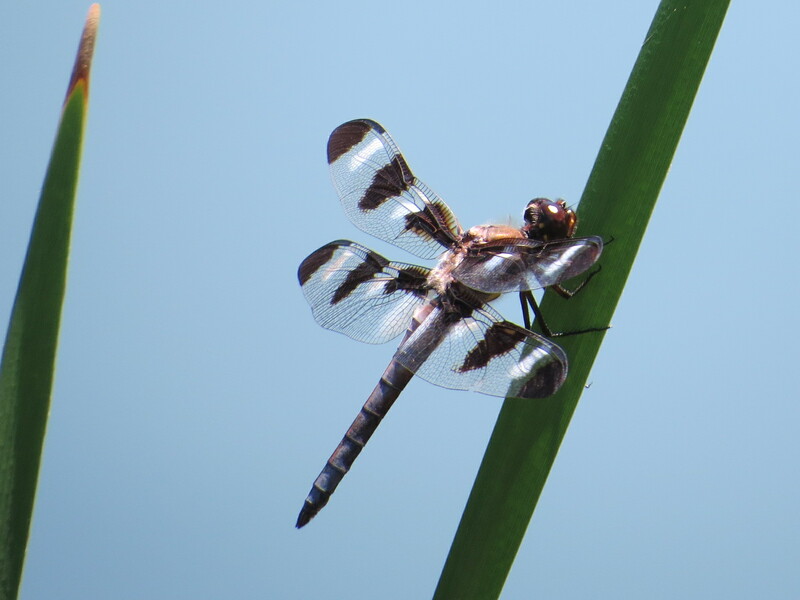 Common Whitetail (Plathemis lydia) male. 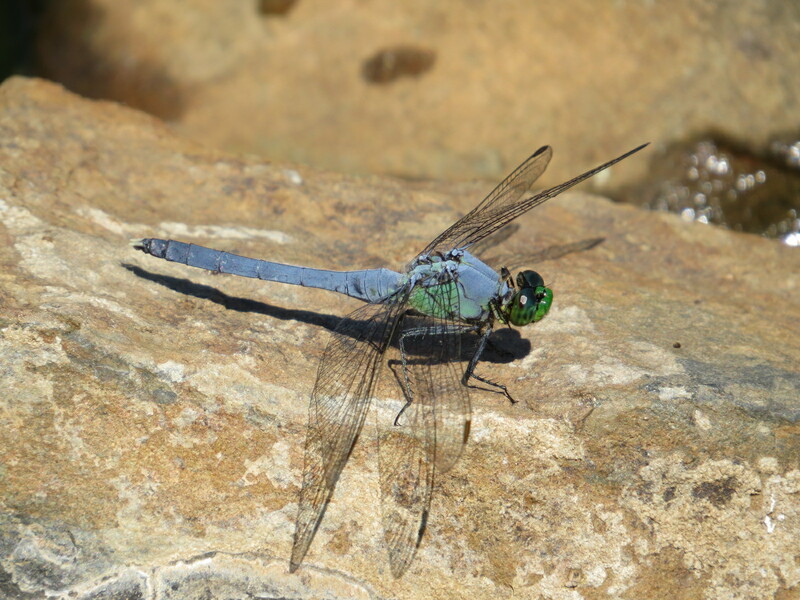 Eastern Pondhawk (Erythemis simplicicollis) male. What’s up with all the males? They’re patrolling territory, in this case the ponds of Green-Wood, while females generally only show up to these sites when they want to mate. Otherwise the females are over the fields and meadows, at the edge of the woods, “across the river and through the trees”…. You’ve got a great camera! It’s a Canon SX50 HS. Lens is a so-called “super zoom” which I think is a pretty good compromise for not wanting to carry around a long lens (not to mention the $ saved). Of course, for every good shot, there’s usually multiple unusable ones.